Alan Mulally isn’t ceding his CEO title, but he is handing most of his operational responsibilities to the automaker’s North America head. Fields, who steered Ford’s biggest region back to profit, will be COO. Come Mulally’s exit, now set for 2014, the top job will be his to lose. Ford Motor said on Nov. 1 that President and Chief Executive Alan Mulally is to remain at the company until at least 2014 and will concentrate on the company’s One Ford turnaround plan. 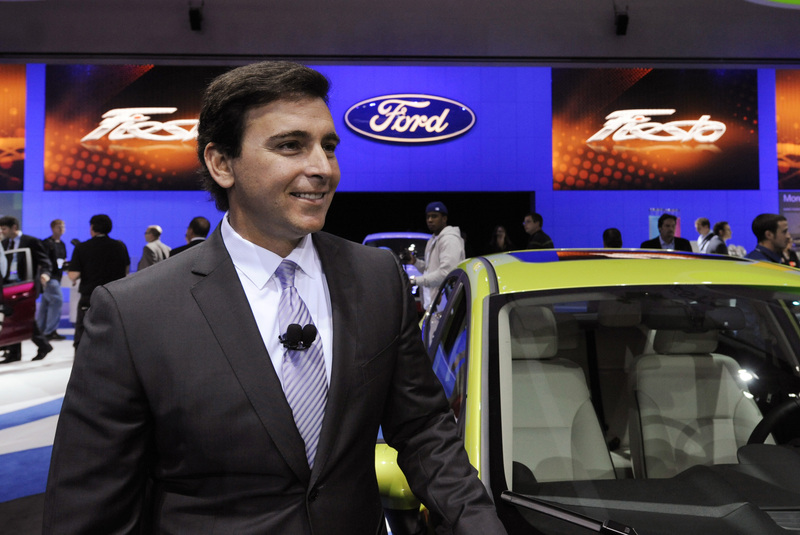 Mark Fields, the current head of automotive in North America, is to become Ford’s chief operating officer. Fields will be responsible for all business operations globally and all regional heads will now report to him. Joe Hinrichs, who is currently president of the Asia Pacific and Africa business will now run North America. Stephen Odell, currently chairman and chief executive of Ford Europe, will now be president of Europe, the Middle East and Africa. David Schoch, who at present runs Ford’s China operations, will become president of Asia Pacific. Separately, on Nov. 1 Ford also announced that October sales in North America were unchanged from last year at 168,456. October was its best month for small-car sales in North America in 11 years, with 25,493 sold. Sales of its F-Series truck hit the highest October level since 2004.